National Kabaddi recognised by the Amateur Kabadi Federation of India: National style (which resembles the Sanjeevani style), Circle style (incorporating the Punjab style), Indoor and national games, Beach Kabaddi and National professional league Kabaddi. A number of similar contact sports which are peculiar to various regions such as hadudu in Bangladesh, baibalaa in Maldives, chedugudu in Andhra Pradesh and sadugudu in Tamil Nadu. 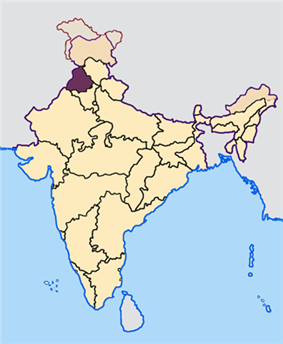 It is the national game of Bangladesh, and Nepal and also the state game of the Indian states of Tamil Nadu, Maharashtra, Bihar, Andhra Pradesh, Telangana and Punjab. India is the most successful team in the world stage having won every world cup and Asian Games titles so far. Kabaddi initially became famous in Punjab Region as it was part of their per martial tradition, and is popular throughout South Asia, and has spread to Southeast Asia, Japan and Iran. Modern Kabaddi is a synthesis of the game played in various forms under different names. "Origin, History and Development of Kabaddi". Retrieved 2008-04-20. Kabaddi received international exposure during the 1936 Berlin Olympics, demonstrated by India. The game was introduced in the Indian National Games at Calcutta in 1938. In 1950 the All India Kabaddi Federation (AIKF) came into existence and framed the rules. The Amateur Kabaddi Federation of India (AKFI) was founded in 1973 and the first nationals for men were held in Chennai. Kabaddi was introduced and popularized in Japan in 1979 by Sundar Ram of India who toured Japan on behalf of Asian Amateur Kabaddi Federation for two months to introduce the game. In 1979, matches between Bangladesh and India was held across India. The first Asian Kabaddi Championship was held in 1980 and India emerged as champion beating Bangladesh. The other teams in the tournament were Nepal, Malaysia and Japan. The game was included for the first time in the Asian Games in Beijing in 1990 where 7 teams took part. India won the gold medal and has also won gold at the subsequent seven Asian Games in Hiroshima in 1994, Bangkok in 1998, Busan in 2002, Doha in 2006, Guangzhou in 2010 and Incheon in 2014. An attempt to popularize kabaddi in Great Britain was carried out by Channel 4, who commissioned a programme dedicated to the sport. The programme was axed in 1992, but not before its presenter Krishnan Guru-Murthy suffered a collapsed lung while participating in the sport. The teams take turns sending a "raider" into the other half. To win a point, the raider must take a breath, run into the opposing half, tag one or more members of the opposite team, then return to his home half before inhaling again. The raider will chant "kabaddi, kabaddi" with his exhaling breath to show the referee he has not inhaled. The raider will be declared "out" and will not gain the point if he inhales before returning to his side, or returns without touching an opponent. The tagged defender(s) will be "out" if they do not succeed in catching the raider who tagged them. Wrestling the raider to the ground can prevent him escaping before he needs to inhale. Defenders may not cross the center line (the "lobby") of the field and the raider may not cross the boundary lines. However, there is one bonus line which can grant extra points for the raider if he manages to touch it and return successfully. Players who are out are temporarily sent off the field. Each time a player is out, the opposing team earns a point. A team scores a bonus of three points (called a "lona"), if the entire opposing team is declared out. At the end of the game, the team with the most points wins. Matches are categorized based on age and weight. Six officials supervise a match: one referee, two umpires, a scorer and two assistant scorers. 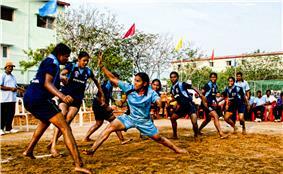 These forms of Kabaddi are played nationally and all three forms of national style Kabaddi are played in a rectangular box. In Sanjeevani kabaddi, one player is revived against one player of the opposite team who is out – one out, one in. The duration, the number of players, dimensions of the court, etc. have been fixed by the Kabaddi Federation of India. This form of kabaddi is the closest to the present game and is also called National Style. In this form of kabaddi, players are put out and revived and the game lasts 40 minutes with a 5-minute break in between. There are nine players on each side. The team that puts out all the players on the opponent's side scores four extra points for a 'Lona'. The winning team is the one that scores most points after 40 minutes. The field is bigger in this form of kabaddi and the 'chant' different in various regions. Modern kabaddi resembles this form of kabaddi especially with regard to 'out and in system' and 'Lona'. This is played with seven players on either side, in a field of no specific measurements. The characteristic is that a player put out has to remain out until all his team members are out. The team that is successful in putting out all the players of the opponent's side secures a point. This is akin to the present system of 'Lona'. After all the players are put out, the team is revived and the game continues. The game continues until five or seven 'Lona' are secured. This form of kabaddi has no fixed time duration. The main disadvantage of the Gaminee type is that the player is not in position to give his best performance since he is likely to remain out for the better part of the match until a Lona is scored. Amar resembles the Surjeevani form of kabaddi to an extent, especially in the time frame rule. In this form, a player who is declared out doesn’t leave the court, but instead stays inside, and the play goes along. For every player of the opposition touched ‘out,’ a team earns a point. Amar is highly popular in Punjab. In the Amar form of Kabaddi, whenever any player is touched (out), he does not go out of the court, but stays inside, and one point is awarded to the team that touched him. This game is also played on a time basis, i.e. the time is fixed. This form of Kabaddi and the Circle style Kabaddi incorporates the Kabaddi styles played in the Punjab region. In the Punjab region, Kabaddi is played on a circular pitch of a diameter of 22 meters. Kabaddi is the regional sport of the Punjab region and was referred to as Punjabi Kabaddi in India and Pakistan. However, with the formation of the states of Haryana and Punjab in India, the same game was referred to as Punjab Kabaddi and Haryana Kabaddi. This caused confusion and therefore, in 1978, the Amateur Circle Kabaddi Federation of India was formed and the syle of Kabaddi played in the Punjab region was named Circle Kabaddi. 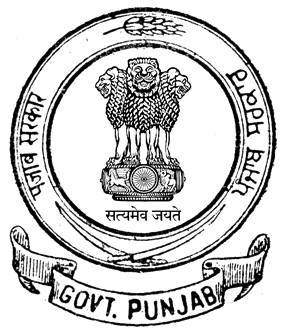 Punjab Circle kabaddi (also known as "diarey wali Kabaddi") incorporates Kabaddi styles of the Punjab region. A popular style is "Goongi Kabaddi" (silent Kabaddi) where a raider player does not speak and say the word kabaddi but just touches the opponent’s team player and the whom he touches only that player will try to stop the player. The struggle will continue till he reaches the starting line or acknowledge the defeat and loses a point, or if he safely reaches the starting line, he will get the point. This form of kabaddi is played in Punjab, Canada, England, New Zealand, USA, Pakistan and Australia. In the Amar form of kabaddi, each team consists of 5-6 stoppers and 4-5 raiders. At one time, only 4 stoppers are allowed to play on the field. Every time a stopper stops the raider from going back to his starting point, that stoppers team gets 1 point. On the other hand, every time the raider tags one of the stoppers and returns to his starting point, his team gets one point. At one time, only one of the stoppers can try to stop the raider. If more than one touch the raider, an automatic point is awarded to the raider's team. If the stopper is pushed out by the raider or vice versa, then the team whose member is still in the field gets a point. If both the raider and the stopper go out, the result is a common point, where nobody gets a point. There is a 30 second time limit for the raider from the moment he leaves until he returns to his starting point. This rule was only recently introduced (1994) after controversy with some raiders abusing the old system where they were able to struggle through a point until they ran out of breath from repeating the word kabaddi. It also called Circle style kabaddi. The Kabaddi World Cup was first played in 2004 and then in 2007 and 2010. It has been an annual tournament since 2010. So far, India is the unbeaten champion in Kabaddi World Cup. Pakistan and Iran are the next most successful nations, with the former being runners-up thrice and the latter twice. Note that Pakistan did not play the first two editions of the Kabaddi World-Cup (2004 and 2007) due to political tensions with the host nation India. Kabaddi is played in Asian Games or Asiad, since 1990. The Indian team has since won all 7 Gold medals followed by Bangladesh team winning 3 silver medals. Pro Kabaddi League was introduced in 2014 in India based on Indian Premier League. The first edition of the tournament had begun at 26 July 2014 with eight franchises based at eight different cities in India consisting of players from all over the world. Jaipur Pink Panthers won the inaugural edition. The other teams in the competition were U Mumba based at Mumbai, Bengaluru Bulls based at Bengaluru, Delhi Dabbangs based at Delhi, Puneri Paltans based at Pune, Teugu Titans based at Vizag, Bengal Warriors based at Kolkata and Patna Pirates based at Patna. The broadcast rights were bagged by the star sports network. The Pro Kabaddi League uses the National Kabaddi style. World Kabaddi League was introduced in 2014. The league followed the rules & guidelines as defined by the Punjab circle style Kabaddi. The league was played across four countries  from August 2014 to December 2014. The Asia Kabaddi Cup has been held twice in consecutive years. 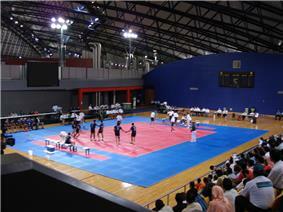 The Inaugural tournament was held in the year 2011 in Iran. In 2012, the Asia Kabaddi Cup was held in Lahore, Punjab from 1 to 5 November. In 2012 ASIA Kabaddi Cup held in Lahore, Pakistan won against India with a technical win with score 37–31 after Indian team rejected to play further. The UK Kabaddi has been happening for many years, but received major recognition during the 2013 UK Kabaddi Cup. It featured the national Kabaddi teams from, India, England, Pakistan, USA, Canada and a local club team, Golden Temple (SGPC). The UK Kabaddi Cup hosts the Punjab Circle Style of Kabaddi. The Kabaddi Federation of India (KFI) was founded in 1950, and it compiled a standard set of rules. The Amateur Kabaddi Federation of India (AKFI) was founded in 1973 and has given new shape to the rules. 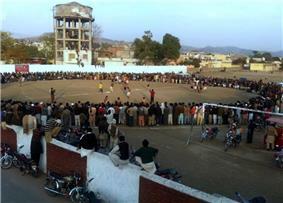 Kabaddi is a popular sport in Pakistan, specially in the rural areas. The governing body for kabaddi in Pakistan is Pakistan Kabaddi Federation. Kabaddi (Bengali: কাবাডি) is a very popular game in Bangladesh, especially in the villages. In some areas Ha-Du-Du is popular. Ha-Du-Du has no definite rules and is played with different rules in different areas. However, Kabaddi is also played and given the status of the National Game in 1972. The Bangladesh Amateur Kabaddi Federation was formed in 1973. Kabaddi-like games are common in certain rural regions of Iran and in these areas it is a popular game for children and adults. In some areas – especially in the center of Iranian plateau, Khorasan and Mazandaran Kabaddi is known as Zu/Zou (Persian: زو‎), in Gilan as Do-Do (Persian: دودو‎), in Khuzestan as Ti-Ti (Persian: تی‌تی‎) and in Sistan and Baluchestan as Kabaddi/Kabedi/Kavedi/Kaveddi/Kavaddi (Persian: کودّی، کبدی‎). In Iran, the Community of Kabaddi was formed in 1996, in same year they joined the Asian Kabaddi Federation and in 2001 they joined the International Kabaddi Federation. The Iran Amateur Kabaddi Federation was formed in 2004. Iranian Men and Women Kabaddi teams won silver medals in 2014 Asian Games (XVII Asiad) in Incheon, South Korea. Kabbadi was played by the British Army for fun, to keep fit and as an enticement to recruit soldiers from the British Asian community. Kabaddi was brought to the United Kingdom by Indian immigrants and Pakistani immigrants. The governing body for kabaddi in the United Kingdom is the England Kabaddi Federation UK. The UK also played host to the 2013 UK Kabaddi Cup. Kabbadi is considered to be one of the national sports of Nepal. Kabbadi is played and taught at a very early age in most primary schools beginning in the third grade or so in most Nepali schools. Great instructors and players have come out the Nepali Kabbadi system which is original in its teaching and form. Sange Lama and Jayadev Lama based in Queens, New York, United States are the two most famous Nepali players of all time. Little Buddha (1993) in which Keanu Reeves plays the Siddhartha Gautama, a game of kabaddi is depicted. ^ Gofran Faroqi (2012). "Kabadihear". In Sirajul Islam and Ahmed A. Jamal. Banglapedia: National Encyclopedia of Bangladesh (Second ed.). ^ "Siddhi Times-March 2009 - Dr.Commander Selvam". Scribd.com. 2009-03-14. Retrieved 2014-08-16. ^ "INTERNATIONAL KABADDI FEDERATION (IKF)". Retrieved 2014-08-26. ^ a b c d e "Welcome to International Kabaddi Federation". Kabaddiikf.com. 2010-04-30. Retrieved 2014-08-16. ^ "India win first women's Kabaddi World Cup". Hindustan Times. 4 March 2012. Retrieved 2012-07-04. ^ Ripley, Dan (2014-08-06). "Kabaddi was once a Trans World Sport favourite but now it's heading for the 02 Arena as WKL forms | Mail Online". Dailymail.co.uk. Retrieved 2014-08-16. ^ "Home - The official website of World Kabaddi League". Worldkabaddileague.net. 2014-08-09. Retrieved 2014-08-16.